Mineta San José International Airport and Minneapolis-St. Paul International Airport have been given clearance to start using the digital passport system. For the uninitiated, that's an app that replaces those little blue-and-white customs declarations forms when you re-enter the United States. 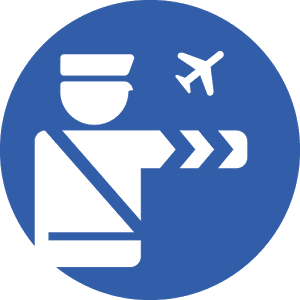 The limitations on the app are still in place: you still have to be a US or Canadian citizen or a member of their household, and you still need to bring your physical passport. The app is basically just a way to avoid asking a stranger for a pen when your plane is pulling up to the gate. As of now Mobile Passport is also accepted at airports in Atlanta, Chicago, Dallas-Fort Worth, Denver, Fort Lauderdale, Miami, Newark, New York (JFK), Orlando, Raleigh-Durham, San Francisco, Seattle-Tacoma, and Washington D.C. Aside from "bug fixes," the only other change in the latest update is an improvement to the document scanner feature. The update should be live to everyone at the same link below.